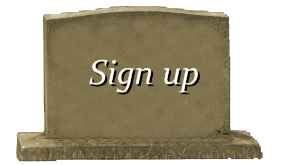 Ziad Samir Jarrah (Arabic: زياد سمير جراح‎‎, Ziyād Samīr Ǧarrāḥ; May 11, 1975 – September 11, 2001) was an al-Qaeda member and one of the perpetrators of the September 11 attacks; serving as the hijacker-pilot of United Airlines Flight 93, crashing the plane into a field in a rural area near Shanksville, Pennsylvania—after a passenger uprising—as part of the coordinated attacks. After a wealthy and secularist upbringing, Ziad Jarrah moved to Germany in 1996. He became involved in the planning of the September 11 attacks while attending Technical University of Hamburg (TUHH) in the late 1990s, meeting Mohamed Atta, Marwan al-Shehhi and Ramzi bin al-Shibh, forming in 1998 what is now known as the Hamburg cell. Jarrah was recruited by Osama bin Laden for the attacks in 1999. Unique among the hijackers, he was close to his family and girlfriend. He was the only one that had doubts about the attacks. Ziad Jarrah arrived in the United States in June 2000, where he trained at Florida Flight Training Center from June 2000 to January 2001, after relocating to Florida from New Jersey. On September 7, 2001, Jarrah flew from Fort Lauderdale to Newark. 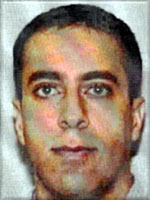 On September 11, Ziad Jarrah boarded United Airlines Flight 93, and he is believed to have taken over as the pilot of the aircraft along with his team of hijackers, which included Saeed al-Ghamdi, Ahmed al-Nami and Ahmed al-Haznawi who together made an attempt to crash the plane into the U.S. Capitol, which was thwarted when the passengers started a revolt against the hijackers.